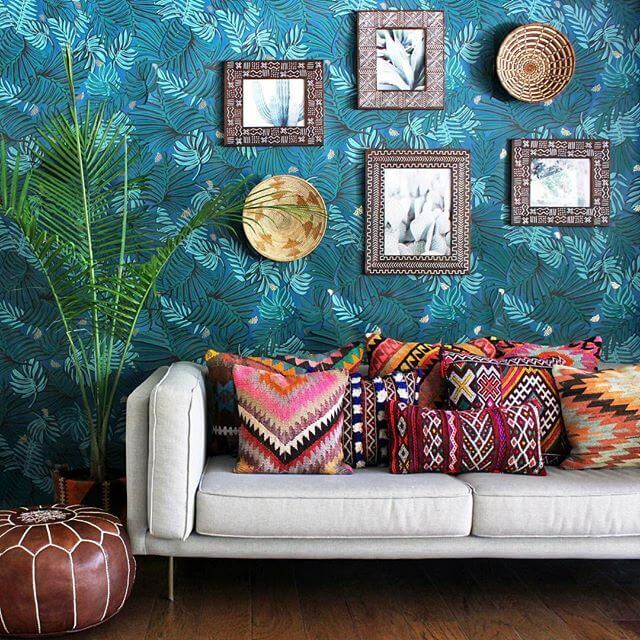 Amazing bohemian style decors to inspire your inner Boho soul! Amazing Boho Decors to inspire you! Creating your own beautiful bohemian style decor means you can't be afraid to mix vibrant color, lots of texture and patterns. The good thing about a stylish boho home is that you just can't go wrong! You can throw in a vintage cupboard with a colorful mug collection. Some Moroccan pillows on a distressed leather couch. Mix a cool Scandinavian table with a mismatch of retro chairs in turquoise. Have an antique coffee table and paint it in your favorite color. Go for a bold rug on the floor and add some heavy patterned wallpaper with a photo gallery. No matter what your favorite mix just don't take it too seriously. A cozy bohemian room should all be about character, hippie vibes, and soul. One of my favorite artists who has mastered the boho look to perfection is decor designer Alyse. She is the beautiful owner and creative designer at Alyse Studios. If you are into Bohemian style decor you have probably seen your pics all on Pinterest and Instagram. This multidisciplinary artist and designer has a true passion for her work. A boho heart and a free minded hippie soul. All of her pictures seem to capture the essence of a warm, vintage, wanderlust hippie home. 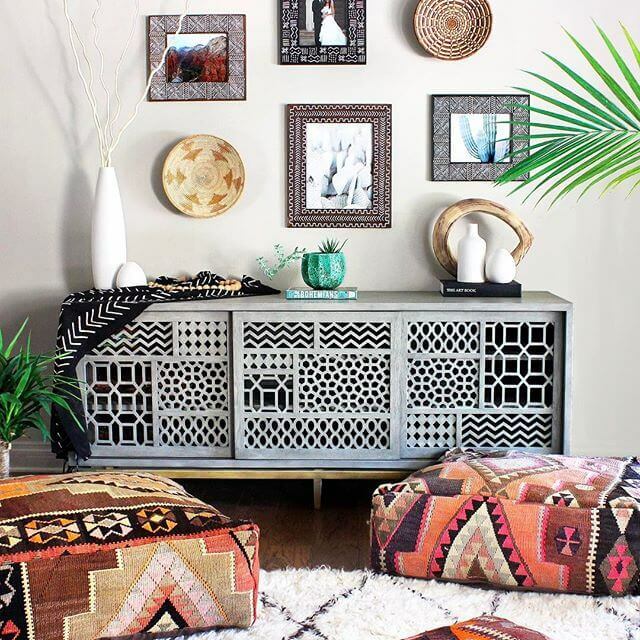 Luckily her own collection of picture frames and Kilim pillows is now available online. Available through her webshop of via Etsy. Especially the pillows are very hard to get your hands on 'cause they sell out so quickly each time! If you are in the neighborhood, her studio is currently located in the heart of historic New Orleans. All pictures on this blog are from the talented Alyse Studios. For more info on Alyse Studios, her bohemian lifestyle and artsy-cool home decor and accessories click here. Where do you get your decor inspiration from? Are you a fan of Alyse Studios already? Leave me a message with more bohemian home inspiration! Wow! Thank you so much for writing such kind things about me! I can’t explain how honored I feel as I read this. It really means a lot! Thank you! I looooooove Alyse! Her beautiful soul outsmart her gorgeous face. So proud to call her a friend.